Spikes of mauve flowers bloom June through July on 18″ stems. 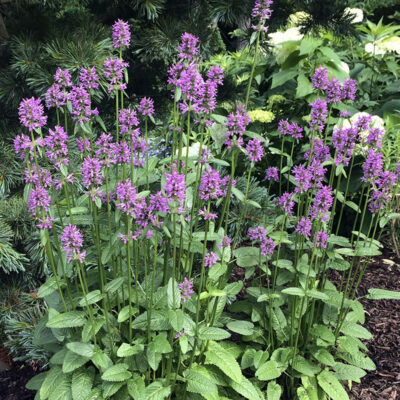 A slowly spreading groundcover with attractive semi-evergreen, scallop-edged leaves. Looks excellent when planted in a sweep. Attracts butterflies and hummingbirds. Full sun. Average to moist soils. Height 18″ in flower. Slowly spreading. Deer resistant. Zones 4-8.